AEgishjálmur (Helm of Awe) also Icelandic Magical Sun that is mentioned in Eddic poetry and protects against the abuse of power. It used to be carved in lead and pressed on one´s forehead. 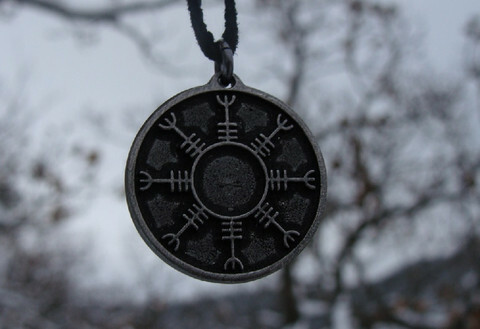 This Nordic is made of a quality metal material: alloy of tin, covered with antimony and patinated. Size: 2,5 cm.